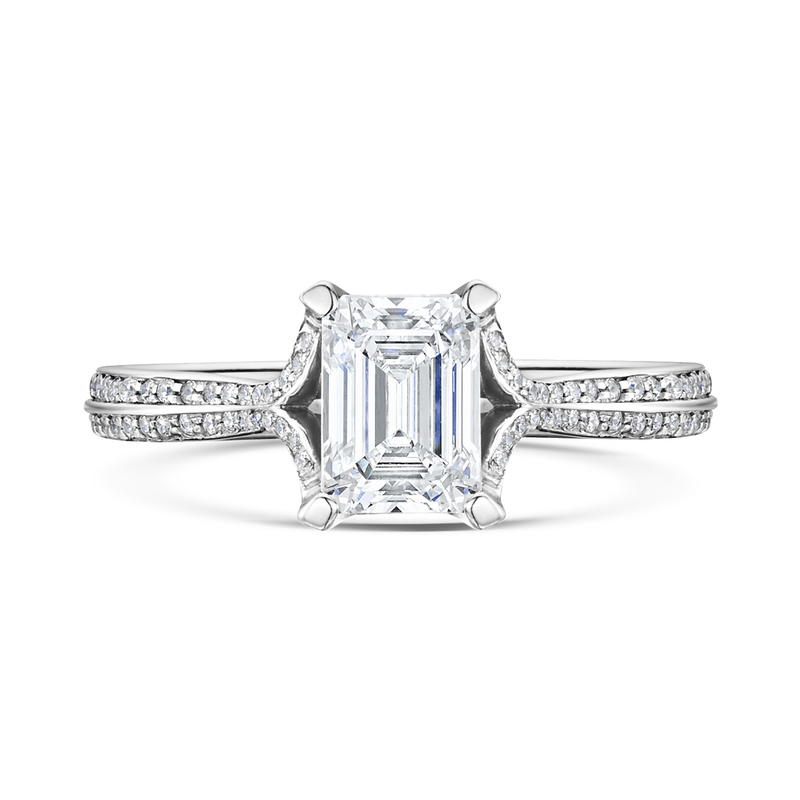 Emerald cut solitaire named after the Scottish Island of Westray. 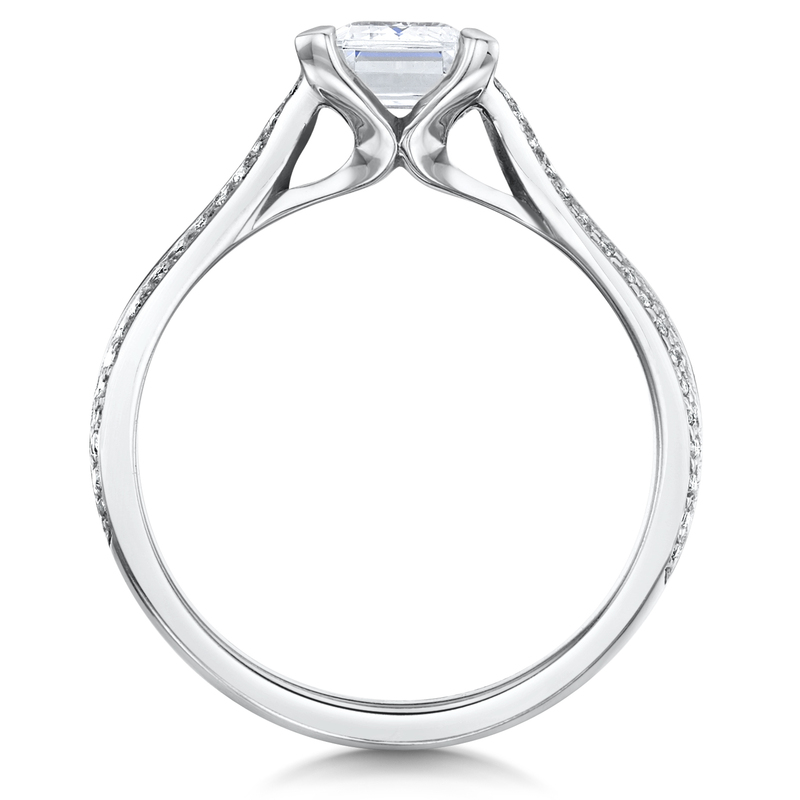 Delicate four claw setting with flowing side profile and neatly tailored shoulders set with double row pave diamonds. 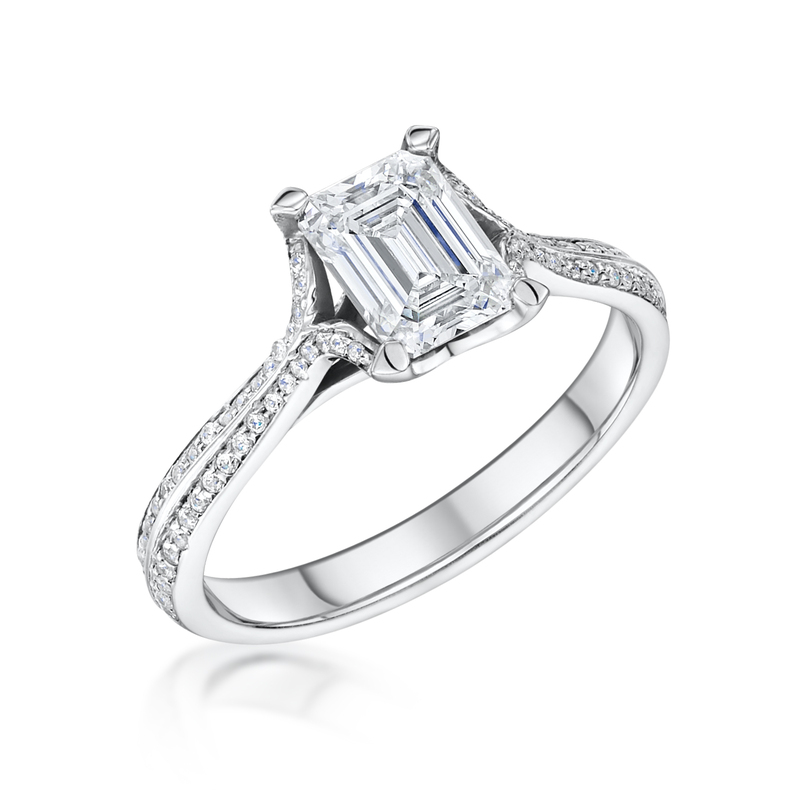 Set with 1ct G colour SI clarity centre emerald cut and 0.21ct pave diamond shoulders. Total carat weight 1.21ct.